Jacquees & Wale Cover H.E.R. 's "Against Me"
Home>New Songs>Jacquees Songs> Jacquees & Wale Cover H.E.R. 's "Against Me"
Jacquees partners with a forlorn Wale on "Against Me." Jacquees and Wale are more than typically accustomed to wading through a sea of self-piteous emotion, the type of confessional stuff you keep mum unless the local parishioner tells you otherwise. On "Against Me" Jacquees revels in his relative sweet spot, as the incumbent force behind many-a-song that already boasts a running start, in this case, he is working off a H.E.R. record where she champions the importance of self-validation. On "Against Me" the script is flipped onto its side, with Jacquees perceiving change, not in himself, but in his partner. Wale, on the other hand, is more self-effacing on "Against Me" than I'd ever imagined. But even so, the introspective look is lost in a myriad of playful musings. 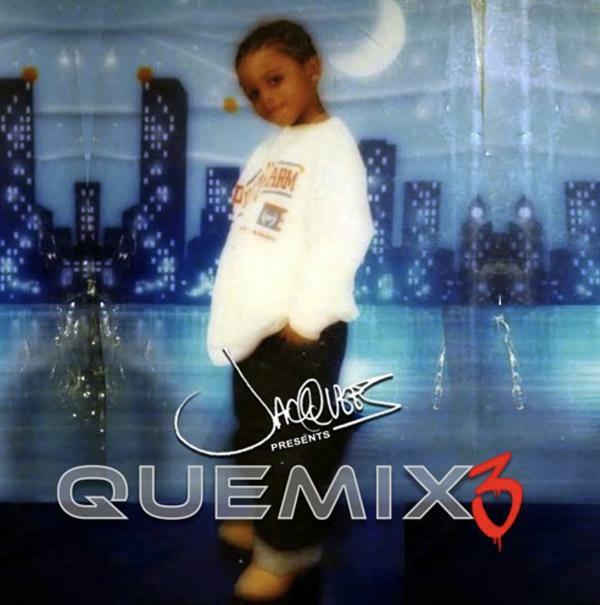 Other records that Jacquees reworks on QUEMIX 3 are equally chilling, as are updated versions of R&B classics by artist and groups such as H-Town and Ginuwine, as well a more recent example of inverted tenderness with a cover Daniel Caesar's "Get You." SAINt JHN Channels Big Mac Energy On "McDonalds Rich"
SONGS Jacquees & Wale Cover H.E.R. 's "Against Me"